The San Diego State Equipment Room unveiled an updated design to the Aztec football team's home and away jerseys via it's Twitter account Friday. A bold red outline was added to the numbers for a more complete look. 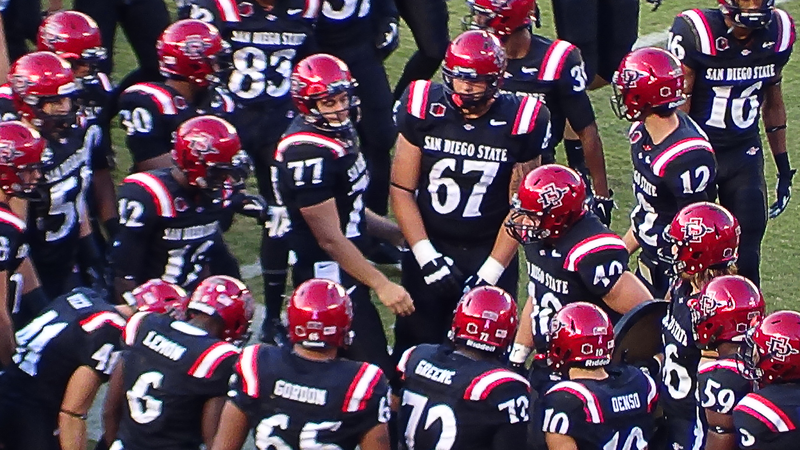 The Aztecs start fall camp on Monday, and will open the 2014 season against Northern Arizona on Saturday, August 3oth at Qualcomm Stadium.